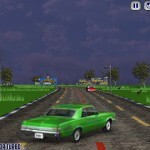 Racing Car Upgrade Driving Achievement Kongregate Click to find more games like this. Cheat: All cars unlocked. Unlimited nitro. All cars unlocked. Unlimited nitro. 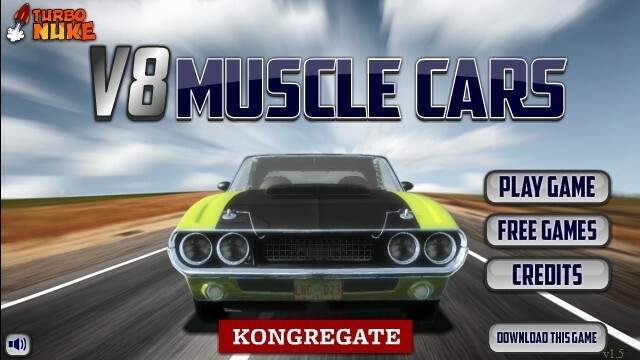 Do you love driving a muscle car? 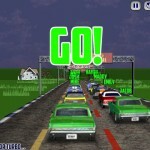 Now it is your chance in this extraordinary racing game! 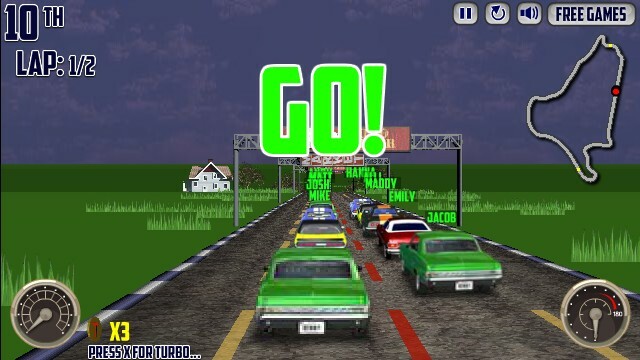 Use your arrow keys to control you car during the race. 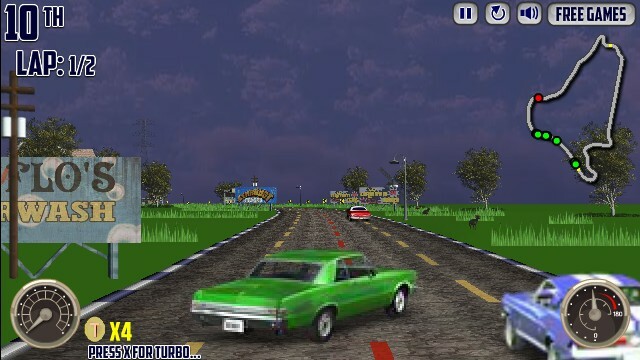 You can see your position in the race and the laps in the upper left corner of the screen, your coins gathered in the bottom left part of the screen, you speed in the bottom right and the track in the upper right. 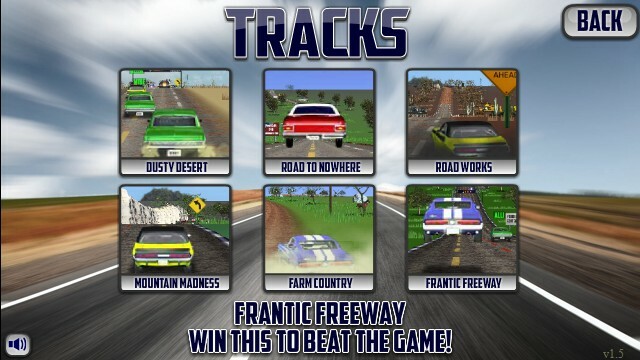 You can play eight incredible tracks: Dusty Desert, Road to nowhere, Road works, Mountain madness, Farm country and Frantic Freeway. There are also five awesome cars you can drive, but you have to unlock four of them. Each car has different quality of speed, grip, turbo and suspensions. You need to finish on certain positions in each track to unlock other cars or tracks. 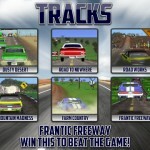 Be the best and win the game by getting first place in the last track!